I wanted to further develop the noodle soup sketch I did some time ago. That was the experiment that led to the breakthrough of using different media for the foreground and background objects within my images. Foreground images are rendered using a base layer of markers with a top layer of pastel pencil. The backgrounds are shaded in using coloured pencil. 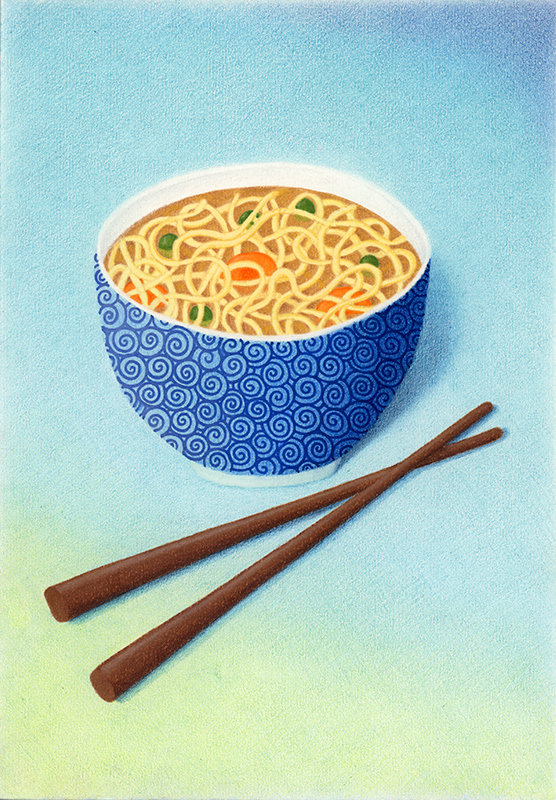 Here is the finished noodle soup image.